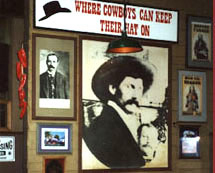 Billy Miner's Saloon is perfect for business meetings and private parties. The restaurant facility is available for business meetings and private parties. Plan your next meeting or party at Billy Miner's Saloon. We can handle up to 100 people. We also offer custom barbecue catering for up to 1000 people. Price quote upon request.